Price for an individual is $29.95 per person to receive a copy of the DVD presentation and written material. 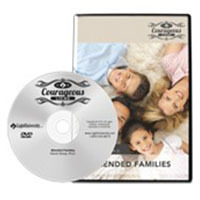 Group pricing is $15.00 per person and each member of the group will receive written material to use during DVD presentation. If you would like to purchase a copy of the DVD, arrangements can be made. Please email dr.dianemccollum@gmail.com to arrange group bookings and payment. Children with Attention Deficit Hyperactivity Disorder (ADHD) have unique difficulties relating to family members, school leaders, peers, and friends. Dr. Grant Martin, recognized as a leading expert on ADHD, provides a wealth of information in assessing and treating this disorder. 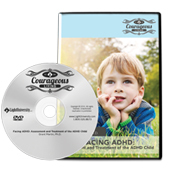 This DVD can help all who come in contact with children to be aware of ADHD, be able to recognize it, and learn how they can best help children with this condition. Pastors, parents, school personnel, child care workers, Sunday school teachers, and counselors�all those who care for children�will learn helpful ways to reach out to and deal with children who struggle because of ADHD.